Doyon Drilling dead Horse, Alaska on the North Slope	 Temperature controlled warehouse. The working conditions can range from 70F to -50F. The Sprung structure provided an easy solution for building on permafrost in the area	 The energy efficiency of the structure has performed so well that a single heater is more than enough. 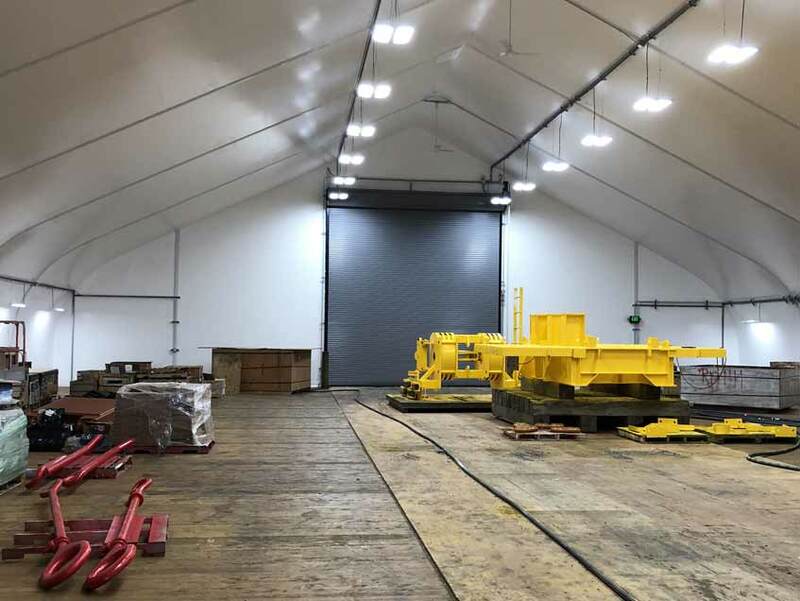 Doyon is planning to build a new drilling rig to arrive on the North Slope of Alaska in 2019 and they needed a warm warehouse to receive rig components. The company was concerned about the costs associated with building on permafrost in the area. The Sprung structure provided an easy solution. Doyon used a CLT wood floor system in conjunction with Sprung’s earth anchors, allowing for the large scale of the structure. Once the rig is constructed Doyon will keep the structure onsite at their yard to serve as a warm warehouse. Doyon had purchased two heaters to maintain the temperature in the structure. After occupying the warehouse for a few months they’ve found the energy efficiency of the structure has performed so well that a single heater is more than enough to serve their needs. They are extremely happy with the structure and satisfied with every aspect of the project. As you are aware, Doyon Drilling, Inc (DD) purchased its first sprung Structure in October 2017. 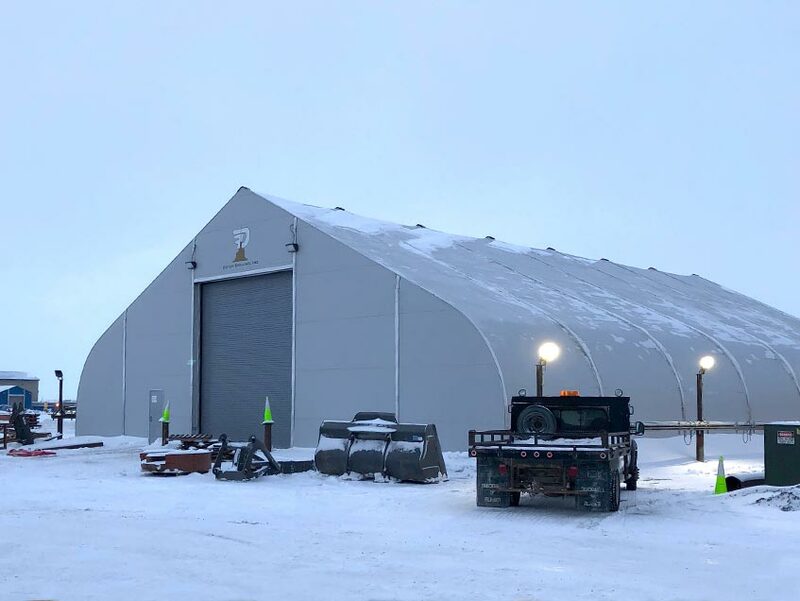 The 80′ x 105′ Signature Series structure, erected in our yard at Deadhorse, Alaska will provide our organization with much needed additional storage of equipment and tools used by our Rig crew’s and yard foremen for many years to come. With two new Drilling Rig’s added to our fleet in February 2016 and April 2020 this structure was a cost effective and viable solution, needed quickly, given we had already outgrown our new workshop facility constructed in in 2015. Working with the Sprung Structure team, there were several requirements and considerations in design and performance we needed to meet. 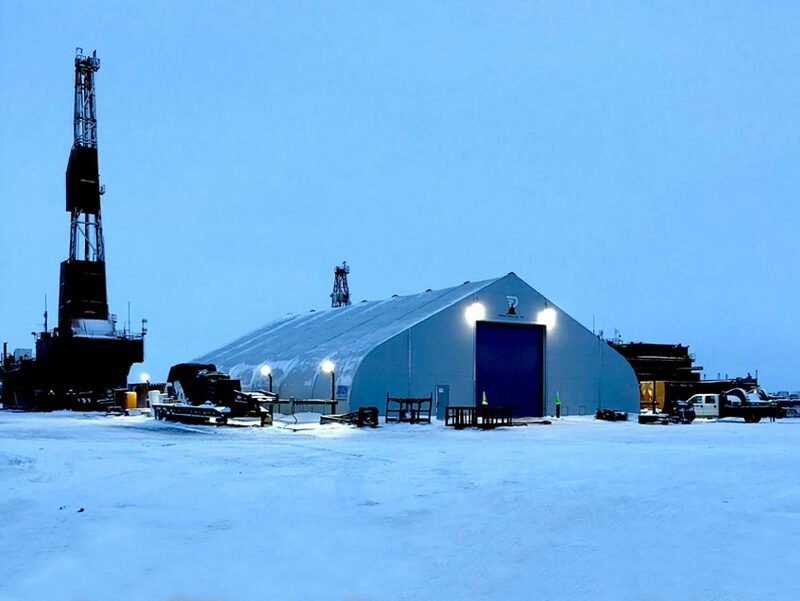 As an Arctic drilling contractor operating on the North Slope of Alaska, the working conditions range from 70 degrees to -50 degrees (f), with high winds and unexpected changes in weather that made a Sprung Structure the right choice. 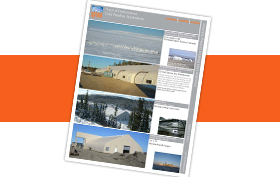 In addition to the options in size and features, the arctic insulation package, 20′ x 20′ Roll-up and personnel doors, and prefabricated heater ducting panels have provided us with all the same design features and function of a permanent building at the fraction of the cost. Especially the remote location of our operations above the Arctic Circle. 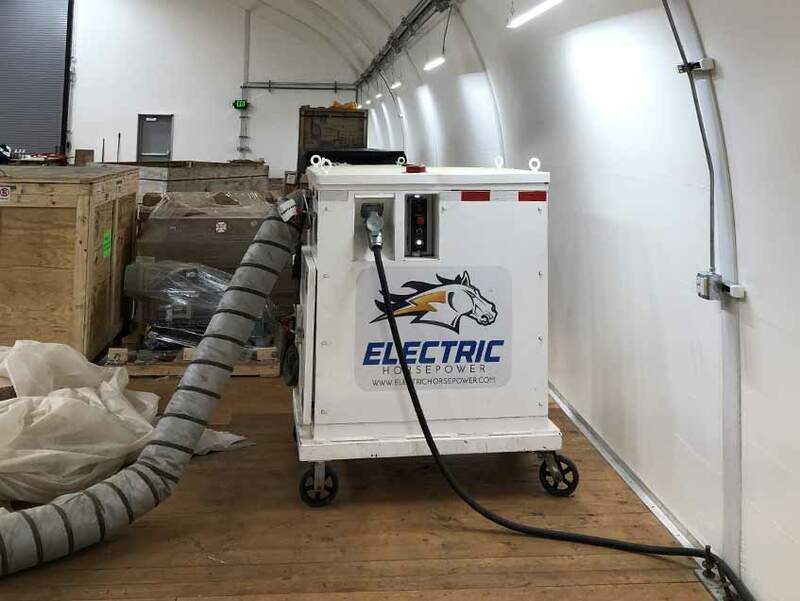 Since recently beginning operations in the new structure, we have already experienced efficiencies heating the structure using one 45Kw Electric Heater at 225,000 BTU/hr., which is keeping the interior temperature more than comfortable during winter conditions. 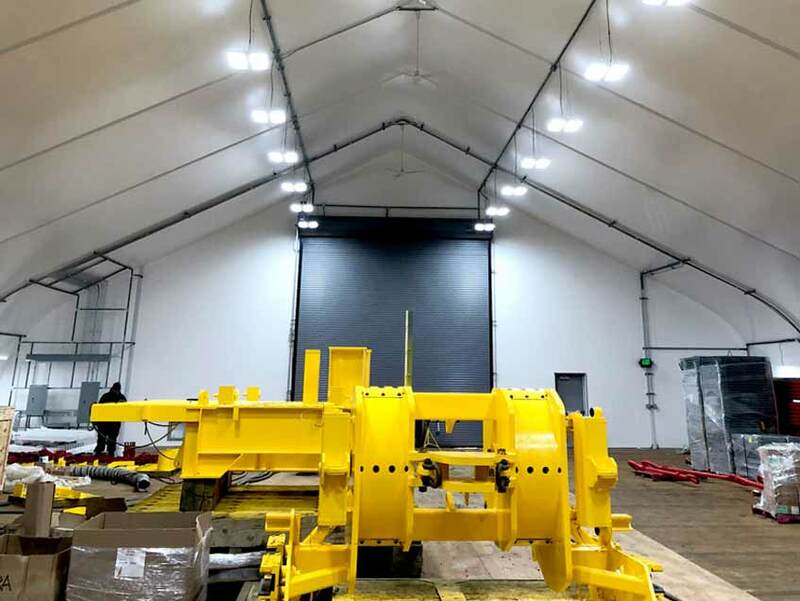 We are pleased with our decision to purchase a Sprung Structure and look forward to the protection and product performance it will provide to our Drilling And Business operations@!